Is Nemacolin castle in Brownsville, Pennsylvania haunted? Nemacolin Castle is named after Nemacolin, a Native American who helped the white settlers move west along what is today the National Road. 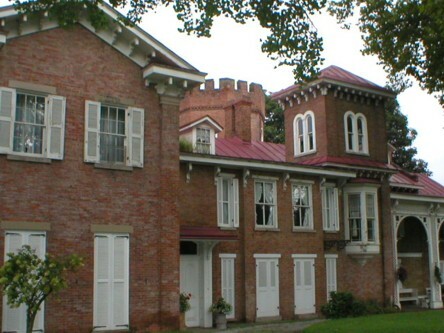 The Castle was built by the Bowman family. It started out as a small building that was used as a trading post along the Monongahela River in 1789. Nelson Bowman, who was a member of the 2nd generation of the Bowman family to live in the house, built onto the original building to create the structure as it is today. Castle is supposedly very haunted. There are at least ten ghosts that have been seen during tours. All of the ghosts are friendly. Sometimes they show themselves, other times people just feel cold spots, hear unexplainable sounds, see movement out of the corner of their eyes, or catch orbs on film. Two of the ghosts that are often seen are Elizabeth, a "prim and proper" lady, and Mary, a seven year old girl with dark, curly hair.